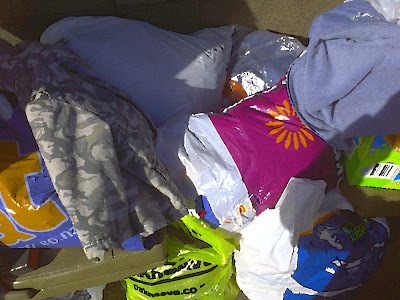 Bags of donated clothing, goods and housewares. It is the changing of the seasons which tends to incite something within most of us. Not more trips to the allergist, though every season does bring upon a new set of irritants, but a sense to make a shift in our lives. We are transitioning into Spring down in the Southern Hemisphere where the international Spring Clean is in full affect. This habit is known all over the world to pop up with the dawning of a fresh spring. We, too, want our space to be clear and clutter free. We agree with many psychologists claims that clutter does affect your mood. Stress levels rise when clutter and mess fill a home. This affects mum, dad and then trickles down. How much time is lost searching for things only to find them days later in an odd spot where it has no purpose being? Before you call on an organizational specialist or a full brigade of maids, consider simplifying your life by getting rid of all the things that you don't need. Are there old boxes that are unmarked? Are you stepping on broken toys? Can anyone really even ride that size bike? Here are our bags of donations for inspiration. Over 12 bags with plenty of properly fitting clothing at home. Seem like a lot? Well, we are a growing family of 5 so out with the old and very happily in no need for the new. The house felt much lighter and happier with more room to organize the important things. It is as if missing toys took on a new light and actually got played with after all the clutter was taken away. The children were part of the process helping to fill at least one bag with a combination of toys and clothes. The children were also there when we dropped it off so hopefully a life lesson was learned here as they went through the process of being charitable. 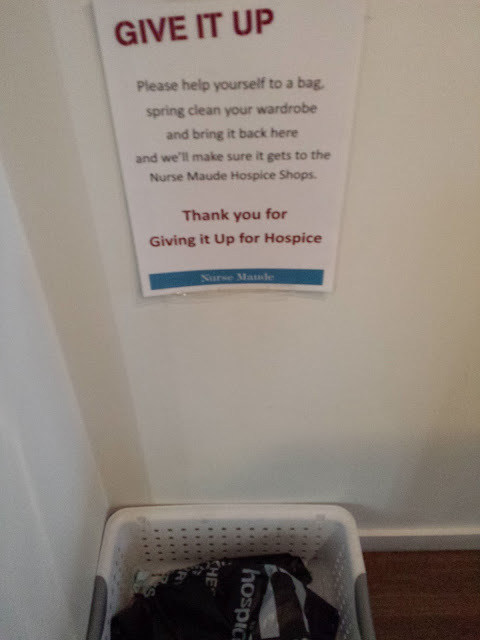 I want them to think that it is cool to #giveback. Check your local donation centers for hours of operation and most are quite keen to accept donations at anytime. Most shops run on low donations during the warmer months so don't forget to #giveback whenever possible. 1. If it has not been worn for an entire year, it never will be. If it made it through 4 seasons without a bit of movement, it's time to move it out of your closets. 2. Anything irreparable Disjointed socks, moth-eaten frocks and such are now trash. Recycle usable pieces for projects or get rid of it. 3. If no one in your house wears the size, or never will again, get rid of it. This is to all you Mamas out there: make a selection of very choice baby clothes to keep and then get donate the rest. You can guarantee someone will love their little one in it just like you did all those years ago. 1. Have a garage sale to earn a few bucks from your old clothes. 2. Consign clothing at a resale store. You will hardly see a fraction of what you paid for it but it is something. 3. Have a Clothing Swap. Description: all the ladies bring the clothes that they don't want and you bring yours where you trade in a friendly, slightly intoxicated and gossipy environment Not your thing? Consider options 1 and 2. I saw this sign at a very luxe coffee shop when grabbing coffees for my husband and I thought it needed to be posted as a reminder for us all. The world is definitely aware that it is cool to give back.